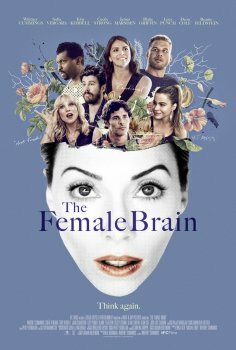 The Female Brain - Available as a download or stream? Stand up comic & actress Whitney Cummings has directed her first feature film, and sold it to IFC Films last month. Based on a script she co-wrote with fellow comedian Neal Brennan, “The Female Brains”, stars Cummings as a neuropsychiatrist who begins to study the hormonal differences in the brains of male human beings as opposed to female. If the acclaimed writers aren’t enough to grab your attention, the supporting cast features Sofia Vergara, James Marsden, Cecily Strong, Lucy Punch, Toby Kebbell, Deon Cole, Blake Griffin, and Beanie Feldstein.